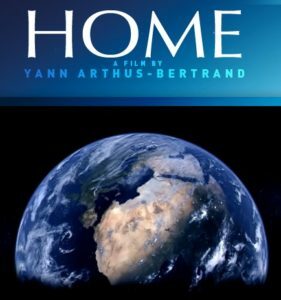 Home is a 2009 French documentary film by Yann Arthus-Bertrand. The film is almost entirely composed of aerial shots of various places on Earth. It shows the diversity of life on Earth and how humanity is threatening the ecological balance of the planet. The English version was read by Glenn Close. The Spanish version was read by Salma Hayek.